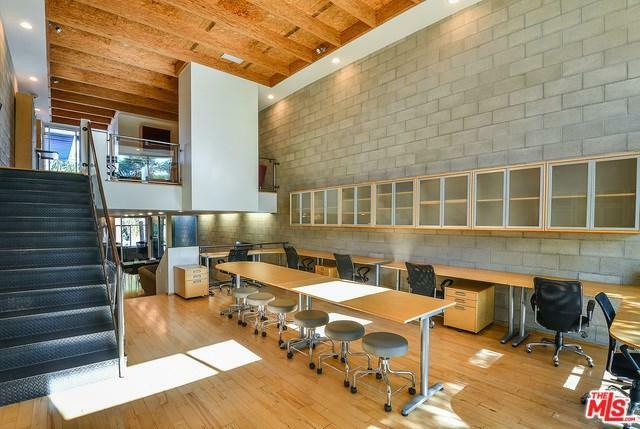 INCREDIBLE TRI-LEVEL LIVE WORK LOFT ON MELROSE. 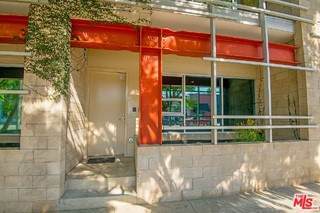 This expansive, south facing creative loft (approximately 3,000 square feet with garage space included) features an open floor plan with soaring ceilings and hardwood floors, including a full kitchen with granite counters and stainless steel appliances, three bathrooms, and a large, private sun deck with a retractable awning. There is an automatic, direct-access garage with room for six tandem cars or for use as additional work space. Additional features include dual-zone HVAC, recessed lighting, security camera, and walls of dual pane windows. 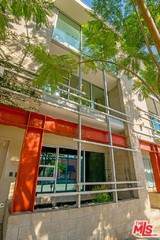 Easily fitting 25 plus work stations, the property is perfect for use as a creative office space, tech company, production company, entertainment or multimedia company, design or photography studio, or as a beautiful and unique home. 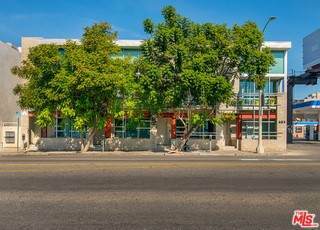 Ideally located in the "Beverly Hills of Hollywood" near studios/entertainment companies and some of L.A.'s best shops and restaurants, this one is a rare find.